Eastern Washington gets far less precipitation than parts of Washington on the west side of the Cascades, the traditional dividing line for the two parts of the state. As such, many of the shade trees common in Western Washington will not grow well east of the Cascades. Choose shade trees carefully for areas east of the Cascades. Oregon white oak is a good shade tree that is native to many parts of Eastern Washington and will grow in areas where it isn't native. Oregon white oak can survive temperatures from -30 degrees F to 116 degrees F. Oregon white oak doesn't require excessive water, and it can survive well in places like Ellensburg, WA, where annual rains average between 6 and 7 inches. Oregon white oak grows best when competing trees are limited; fast-growing trees can crowd out this tree. Black cottonwood trees are native to Washington State and grow very well in Eastern Washington. Black cottonwoods require a lot of water, so they may need irrigation in drier parts of Eastern Washington. These trees grow quickly and can reach 160 feet in height. Although they can grow well in partial shade, they do better in full sun. Black cottonwood trees encourage wildlife, such as birds and butterflies, and are used as a nesting tree by a number of bird species. Although Colorado is better known for quaking aspen, this tree is also native to Eastern Washington. Quaking aspen requires full sun for optimum growth. It also requires regular water, so it may need irrigation in some parts of Eastern Washington. 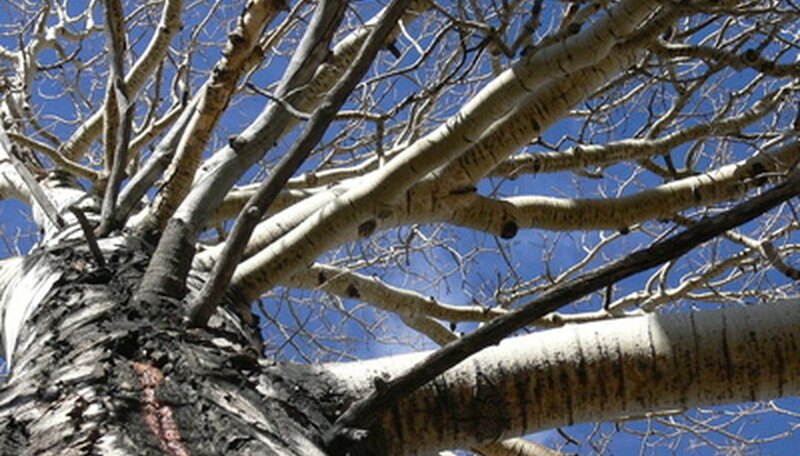 Quaking aspen can reach heights 70 feet with a spread of nearly 40 feet. Quaking aspen, in addition to providing shade, attracts many wildlife species, including birds, elk, and grouse. It is an ideal nesting tree for birds like yellow warblers, white-breasted nuthatches, and mountain chickadees. What Is the Best Type of Grass Seed for Virginia? How Close Together Can I Plant Pine Trees? What Shade Trees Grow Fast in Central Oregon?